Switzerland is known for good chocolate, first-class cheese and miracles of precision mechanics. 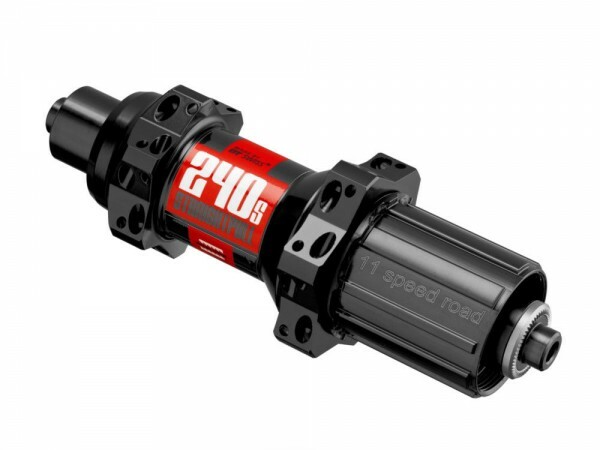 The attention to detail that brings these products can also be found in the DT Swiss 240s hubs. Above all, the love of mechanics can be easily determined. The tried and tested toothed belt with 18 teeth is extremely reliable and hardly has to shy away from the comparison to the famous Swiss movement. The bearing technology with 2 bearings each for freewheel body and hub body is adapted to the loads occurring. The labyrinth sealing system, along with sliding sealing washers and bearing rings made of stainless steel, ensure a long service life. DT Swiss constantly improves its own products. The goals are extreme reliability and, of course, lightweight construction. In the mechanics of the hubs, however, the development department reached its limits. Lighter with consistent reliability seems hardly possible. As potential for improvement, however, the spoke flanges were identified. By using straight spokes - Straightpull - the load of the spokes is lowered and the risk of spoke breaks is reduced to a minimum! Customer evaluation for "Hub rear 240s Straightpull Non Disc, quick release; Shimano 11-speed Road, 20 holes"